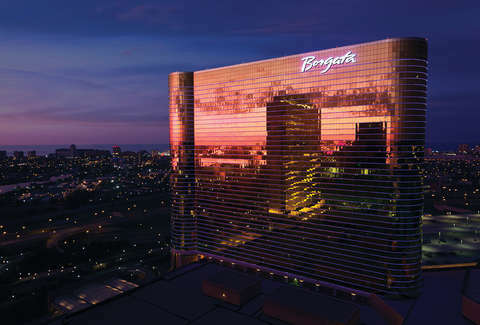 Since opening 15 years ago, the Borgata has always distinguished itself as a foodie destination within Atlantic City -- and to celebrate their crystal anniversary, they’re pulling out all the stops. 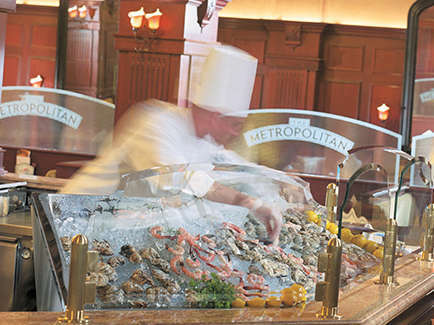 This summer, the casino is hosting more than a dozen food-centric special events. Line them all up and you’ve got a pseudo-summer camp for your palate -- from trying local oysters to experimenting with Japanese barbecue. Make a run through these highlights and come fall, you’ll practically be an expert. Old Homestead opened its original NYC location nearly 150 years ago --- making it one of the oldest steakhouses in the entire country. These guys helped create the original steakhouse menu, from seafood towers to wedge salads to, of course, steaks. 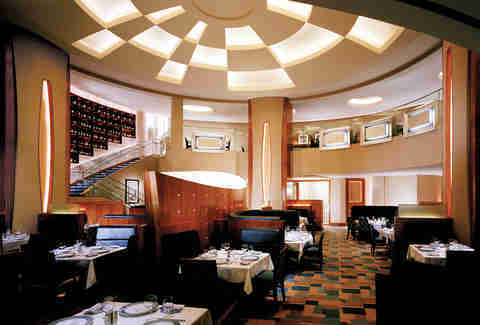 At Borgata, Old Homestead is celebrating its 15th anniversary with a special menu carefully curated for the celebration. The AC location mirrors the Big Apple eatery exactly, so you can see how a classic is done right here, in the company of the restaurateurs behind both locales. 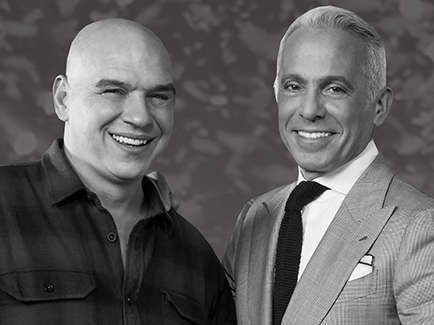 Serious foodies, take note: Borgata turns 15 this summer, and their birthday bash is the place to rub elbows with celebrity chefs you’re used to only seeing on TV, as its hosted by Chefs Michael Symon and Geoffrey Zakarian. Besides carnival style food and drink, there will also be festival games and live music to end the day -- making this the foodie Fourth of July weekend party you can’t miss. If you’re going to have the palate of a chef, you need to develop a taste for the finer things in life -- and no pairing is as luxe as caviar and vodka. Rich and robust in taste and delicate in their texture, these harvested sturgeon eggs are best served with crisp, chilled vodka. Celebrate the century-long relationship between the two (this pair began before the Russian Revolution in 1917) at Borgata’s Long Bar, where Stoli Vodka will be served alongside light bites. Mom’s cooking isn’t just for making you homesick. When you’re looking to increase your culinary prowess, there’s tons of inspiration to be had by revisiting some of your childhood favorites. If you want to see how the pros do it, though, make a reservation at Angeline this summer. From family-style Sunday sauce to celebrity Chef Michael Symon’s lasagna (which is actually his mom’s recipe) you’ll get a sense of how a seasoned chef elevates some of his most nostalgic eats. Oysters, like wine, actually develop a “terroir” -- aka flavors and notes unique to the waters they grow in. So, an oyster from the waters of the Delaware Bay will taste completely different to those harvested off Long Island, and especially different than those off the West Coast. At this event, you’ll explore all the complexities of these bivalves, as well as taste their perfect beachside compliment: beer. This gathering will highlight Yuenglings alongside creative small plates with oysters, making it a laid back summer-palate-expanding experience. Michael Schulson is a Philly-based chef who opened Izakaya after working at some of Toyko’s top restaurants, like Spago and the Four Seasons Hotel. There, he learned Japanese -- as well the traditional techniques to not only master Japanese dishes, but to put his own spin on them. 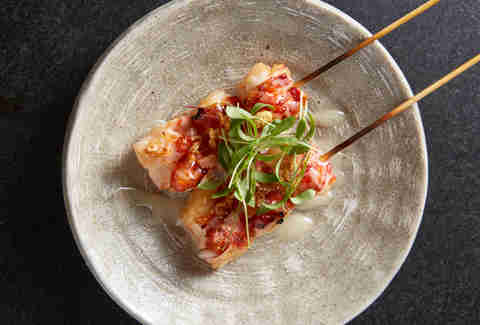 In celebration of his first restaurant’s 10th anniversary, he’ll be creating a menu centered around his speciality: Japanese barbecue (with sushi and sake cocktails, too). It’s the closest you can get to experiencing this traditional cuisine without hopping a plane to Japan. Gin is having a moment in the cocktail world and has come a long way from that liquor your grandma used to drink at holiday parties. The spirit’s complex tasting notes have rightfully catapulted it to the top of many a mixology menu. Here, you’ll try out some of the newest creations with Hendrick’s Gin, paired alongside specially-curated small plates meant to enhance the flavors. 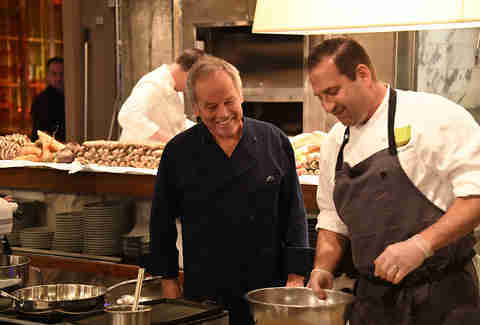 Every summer camp needs a good pool party, and this year, Wolfgang Puck is hosting it at Borgata. 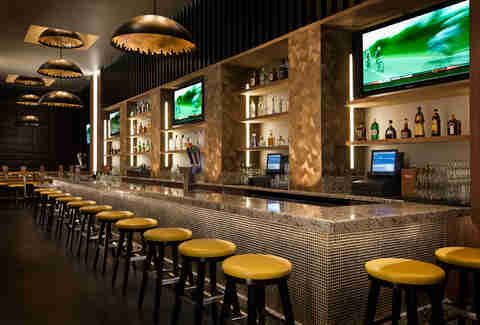 Of course, there will be plenty of tasty eats to try here, too, because chef plans on curating an entire Pan-Asian barbecue for the celebration. It’s all going down at The Water Club Outdoor Pool, right at sunset, so you can watch the sun set over Absecon Bay. Everyone loves a comfort food dish -- and that extends to summer, too. So knowing how to properly elevate iconic flavors and dishes (like the backyard potato salad or lowly cupcake) into high-end, artisan-crafted experiences is a skill worth developing. First, seek out an expert’s take: this summer cookout is hosted (again) by Borgata’s Chef Perry, and alongside those updated classics will be plenty of summer-y vodka cocktails, so you can finish out the season right.